Does your dog pull? Dogs that pull on the leash can be really frustrating. Teaching them to walk nicely isn’t easy, either, especially if your dog is super excitable. There are many training tools available to aid the frustrated dog owner who wants to help teach their dog to walk properly. Some of those training tools include head halters, choke chains, and the martingale collar. Each training device uses the same principle, which is to use a varying degree of uncomfortable force as an aversive aid. This force works to condition the dog to walk without pulling on the lead. However, there’s a problem with some of these training aides. For example, the head halters can be difficult to use, especially on a large dog. Choke chains are dangerous, so dangerous that they’re even illegal in some states of Australia. The training aid gaining most popularity is the martingale dog collar. 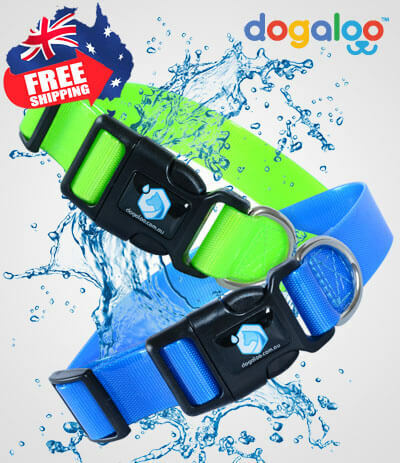 Dogaloo makes a martingale that is an excellent solution for dogs that easily slip out of regular collars and for hounds whose necks that are larger than their heads. Its unique design tightens up only to a certain point to get your dog’s attention without choking or harming your pet. As a result, they’re perfectly humane and legal. Get Your Martingale Collar Here! 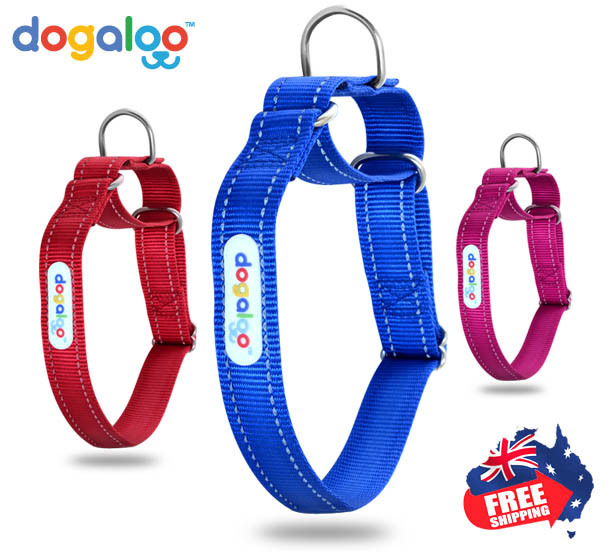 10%OFF + FREE Shipping (Australia Only) with promo code: "MARTINGALE10"
Which martingale dog collars you should avoid and why? When the collar is fitted to the exact size of the dog's neck, it will be comfortably loose when not in use. 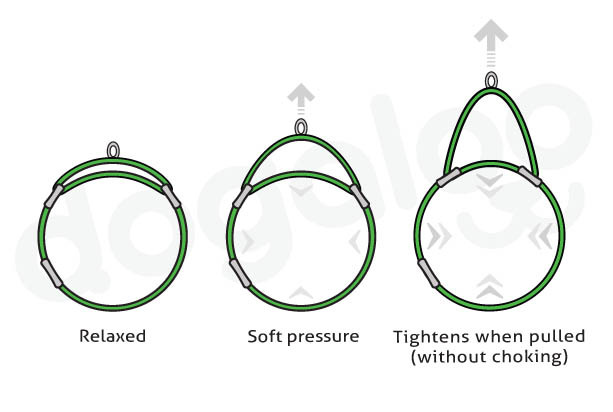 When the ring is pulled, the collar should be very tight, but should not constrict the airway. If properly fitted, it is safe to wear every day. However, some martingales seem to be more dangerous than the choke chain collar. 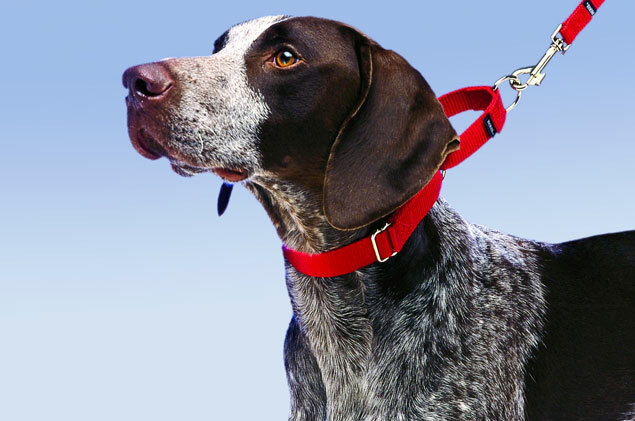 There is a major issue with the martingale collars that have a chain as part of the device. It has been reported that the chain section can become lodged in the dog’s mouth, choking the pet. There have even been some lamentable events in which the dog has died. That's why RSPCA Australia doesn't recommend collars with a chain. A properly fitting martingale without a chain mechanism is key. The martingale, also known as a greyhound collar, is probably the most effective and safe collar for training a dog to walk nicely on the leash. It is safer to use than a choke chain and it is favored by professional handlers and trainers because it offers much more control than a standard collar. When the short loop of the collar is pulled, the large loop tightens up only to a certain point to get the dog’s attention. This provides positive feedback and helps keep your pet from pulling and slipping away. No-Slip collars are great for sighthounds, such as Whippets and Greyhounds. This is because their heads are often smaller than their necks, so they can easily slip out of regular collars. The martingale dog collar or no-slip style was created to keep the collar securely on your pet, even if your dog tries that infamous back-out move that all dogs seem to know so well! Greyhounds are strong animals, so it’s extra important to choose a sturdy collar. 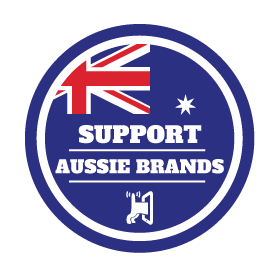 When choosing a greyhound collar, make sure it is made from strong nylon webbing and high-quality metal hardware. Plastic buckles are a big no-no. You should also check out the stitching of the collar. The stitching should stand up to the toughest pullers and dog park mates. Greyhound collars works exactly like martingales. It slips over the head and tightens when your hound tries to pull or back out of its collar. When the big loop tightens, your greyhound is unable to back out of it. That is why it is an excellent safety collar recommended for all sighthound owners – even if they already walk perfectly on the leash. These collars have a double benefit here. The Lurcher, or whippet collar, was originally created for races. They are wide in the front and taper down at the ends where the buckle is located. These collars are designed specifically to keep whippets and greyhounds from cutting off their arterial blood flow, so they can properly breath when running. These types of collars are not very practical for everyday use or when walking your dog on a lead because your hound can easily back out of this collar. As such, the martingale collar is a much more preferable collar style to use on the majority of dogs.